Is America Ready for Formula 1? I came across a video the other day from Red Bull Racing, highlighting the track building progress of an upcoming circuit and also featuring some awesome shots of their F1 car doing donuts and otherwise awesome show moves for promotion. While this is a fairly typical occurrence in Europe and Asia, this particular event was shot in the unlikeliest of places, Austin TX (video at then end of this post). That’s right folks. F1 will be in our backyard, the heartland of America. Texas is the state where steaks and oil rule, and you can literally fry an egg on the concrete during the summertime. 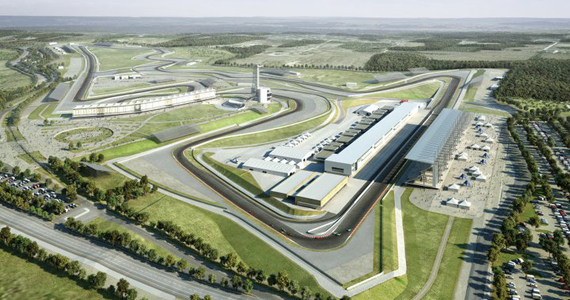 The track is called the Circuit of the Americas, and has been designed by the definitive track designer of this era, Hermann Tilke. As one could imagine, building a track of such caliber in any country is a huge feat, with building and operating costs being on par with GDPs for small countries. However, I can’t help but feel that we need to address the proverbial 800 pound gorilla in the room. Is America ready for Formula 1? The last time F1 was in the USA was in 2007 at Indianapolis, and it was a regular favorite among the teams and drivers. After the controversial 2005 Grand Prix, which left many fans without a show and with a very bad taste in their mouths, the US Grand Prix has been off the calendar for a long while. Many things have changed in the F1 world since then, including lots of new faces, and a very different type of car. The one thing that hasn’t changed is that F1 needs America, and it needs it now more than ever. The United States has one of the richest racing heritages in the world. One needs only to look at the yearly spectacle of the Indy 500 to know that coming to race in America is special. NASCAR was born here and continues to thrive with an alarming rate of new fans and more exposure. We also have an array of the best motorcycle racers in the world competing at the very highest levels. What about F1? Therein lies one of the big problems. We don’t have an American F1 driver. In fact we’ve only had two American F1 drivers in the last 18 years. Of those two drivers, only Michael Andretti, son of former F1 champion and racing legend Mario Andretti, was in a position to be competitive. Scott Speed was the most recent American driver in F1, and he struggled a lot in the midfield and was ultimately replaced by future dual world champion Sebastian Vettel in 2007. Coincidentally, that was the same year that we stopped having the US Grand Prix. Even in MotoGP, the F1 of motorcycles per se, we have three superstar riders that America can root for and be proud of, but if the US Grand Prix in Texas is to be successful for F1, we need an American driver. America takes pride in their sports, but we need someone in the sport before we can become totally invested in the it. Luckily, we do have a couple of young drivers coming up in the F1″feeder” series, and with any luck, one of them will be on the grid next year in some way. America likes to win, however, so until we have an American capable of winning, are we willing to wait? 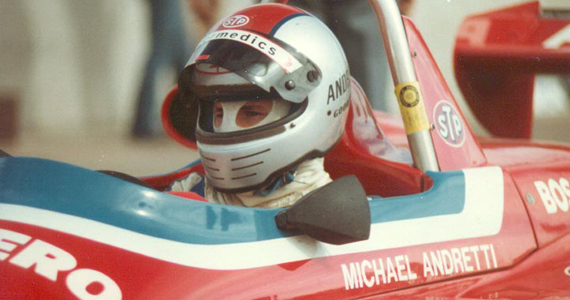 Will Americans ever find another Michael Andretti? NASCAR is for sure the de facto ruler of all racing in America, and for good reason. In many ways NASCAR symbolizes a lot of what America likes to idealize. NASCAR is based on a level playing field, where the driver can pull himself up by the proverbial bootstraps and be successful purely on talent. The drivers, for the most part, are very personable and at times can be dramatic and controversial. The “good ole American boy driving a big V8 really fast,” as my wife would say. Many Americans can relate to that type of character. What about F1? The drivers compete in a series where it’s very definitely based on class. The bigger teams with the bigger budgets can interpret the racing formula with more innovation based on their resources. The smaller teams do what they can to be as competitive, but unless they have a billionaire investor willing to win at no cost, they just fundamentally can’t compete with the top teams. That’s not their place, and that’s a part of the class system that might be very unfamiliar for Americans expecting top results right out of the gate. The drivers are also a very different breed then what most Americans can relate to. All of them are fitness super-freaks, and a majority of them don’t like to be in the limelight of the media, which can make for some dry personalities in the paddock. Not only that, but they drive in a series where elitism is not only favored, but it’s expected and the little guy has very few chances to make an impression. After all, F1 is the biggest televised sport in the world next to fútbol (another sport that fails to resonate with the majority of Americans), with a global audience of 527 million viewers for the 2010 season. I remember a few years ago I had an official Scuderia Ferrari rain jacket that I pretty much wore until I couldn’t wear it anymore. Although I was proud to wear it, I would always have people come up to me and ask me “why would I wear the jacket if I didn’t own a Ferrari”. Even after I would explain that it’s like wearing a Yankees cap, or a Broncos jersey, they still didn’t get it and unfortunately, I think it will be like this for a little while. The challenge of getting Americans to really embrace F1 is making the sport much more available for us to consume. A once a year event in the middle of Texas is going to be a stretch for many of us, and I can’t think of anyone that wants to get up all hours of the morning to watch the events live when they come from other parts of the world, especially in Asia. Fans will always be there in force, but like any business, it only makes sense to go where the money is, and there are a lot of countries vying for a F1 race (including Iran!). All of the teams and manufacturers see the value in coming here, and I’m glad Red Bull Racing stepped up and is trying to generate interest in the sport. Hopefully, we’ll see more of this from Formula One Management and the rest of the teams. The Circuit of the Americas is going to be a permanent fixture on the F1 and MotoGP calendars for the upcoming decade, but they’ll only come here if they can grow their audience in America, and we’ll only embrace it if we have someone to cheer for. So who’s it going to be, and how long do we have to wait? Unfortunately, I think the good ol’ US of A is always going to be an afterthought to F1. Which is kind of sad, because the whole circus already crosses the north Atlantic once a season to come to Montreal, which can only be, what? a 100 miles north of the US border? I went to the inaugural USGP @ Indy and will always remember it. I sat directly across from the pits and let me tell you, the sound of the V10’s (back in those days, they weren’t restricted to V8’s) just ripped through the very core of my being. It was unlike anything I have ever experienced. While it’s tue that F1 contains a lot of prima donna teams and drivers, it’s going to have to be a two way street in terms of enthusiasm and acceptance by both the participants and the (potential) fans before F1 can gain a solid foothold in the states. I don’t think we’re necessarily an afterthought to F1. I just don’t think they are taking enough initiative to generate the interest here, especially in lieu of the race next November. If Red Bull Racing, Ferrari or Mclaren did a street demo in New York City or Los Angeles, like they do in London or Delhi, I think that would go a long way in generating an interest in the sport, especially for a crowd that never really gets that exposure. Hopefully we’ll see some of the bigger teams making an effort like Red Bull has, because it’s only in there best interest. F1 is now in 12 countries outside of Europe, and will more than likely raise that tally higher and higher in the future. F1 needs America, much more than America needs F1, which is truly unfortunate for the real fans out there. I was lucky enough to make the journey the 2010 Montreal race, and I was stunned by how many Americans had made the journey as well. There’s definitely an interest here, and maybe it can inspire our support in the series as well as push our young talent to keep the faith and courage to go join the F1 circus instead of just settling back into NASCAR or IndyCar.